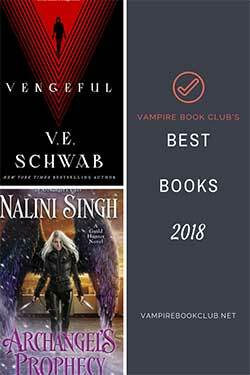 Note: While this review will be spoiler free, it does make reference to previous books in the series. If you haven’t started yet, check out VBC’s review of book 1, Cold Burn of Magic. 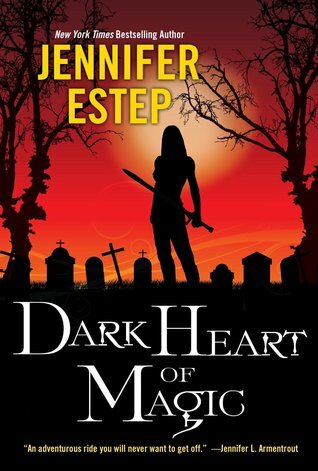 Dark Heart of Magic picks up a few weeks after the end of Cold Burn of Magic. Lila is settling in to her role in the Sinclair Family, adjusting to being part of a team after years of living on her own. She’s still trying to figure out what evil plans Victor Draconi, the man who killed her mother, has in store for the rest of the Families. And she’s still fighting her attraction to Devon Sinclair, who she’s supposed to be guarding. Lila and Devon discover a murdered tree troll on their way home one day, which turns out to be part of a series of monster killings. It broke my heart a little bit because I love the monsters in Cloudburst Falls. The tree trolls (which resemble the flying monkeys in The Wizard of Oz), copper crushers (which are giant snakes), and the loch ness that lives under the bridge are unlike anything I’ve read anywhere else. I figured out the monster killer’s identity pretty early on, but how that tied in to the rest of the story still came as a surprise. I’ve often said that my favorite thing about this series is that it’s set in the modern day, but everyone in Cloudburst Falls carries a sword. 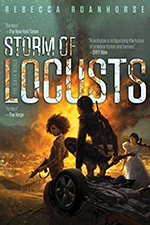 I think that Jennifer Estep heard me, because in this second book she gave me the Tournament of Blades, a three-day long sword fighting competition. At the last minute, Lila finds out that she’s been entered in the tournament. As a thief, she’s used to keeping a low profile, so stepping into the spotlight doesn’t come naturally to her. But investigating who’s been causing “accidents” during the competition is right up her alley. Cold Burn of Magic will almost certainly be on my top five list this year and this sequel is just as good! It has all the same Estep trademarks that I love in the Elemental Assassin series, like Gin and Lila’s shared love of food. They even had barbecue sauce from the Pork Pit! Both heroines also discover new information about their dead parents throughout their series and I thought the secrets Lila uncovered were both interesting and unexpected. Dark Heart of Magic did feel more like a young adult novel to me than the first one, which isn’t a criticism since it is YA. Little things like the characters saying they were going to “make out” reminded me how young they really are. Most of the time they’re doing adult jobs and I forget that Lila’s only seventeen. Even though there’s a lot more focus on the romances than there was in the first book, it never got to that whiny, teen angsty stage that always annoys me (and makes me feel old). The Black Blade series is one of those special series that just make me happy. I feel right at home in Lila’s world as soon as I start reading. So I’m thrilled that I only have to wait six months between them—book three is scheduled for April and it can’t get here fast enough. This is definitely high up on my TBR list. Thanks! I hadn’t really thought about it, but you might be right about competitions. Magic Strikes is one of my favorites because of the tournament. I immediately thought of Magic Strikes too!